Formed in 1987, Green Day are fronted by Billie Joe Armstrong with Tre Cool and Mike Dirnt, as well as Jason White who has toured with the band since 1999. The American punk band are arguably one of the most successful bands of the nu-punk genre, releasing 13 albums since 1990, including American Idiot in 2004 which was written as a rock opera and later turned in to a Broadway show. Members of the band have also featured in other bands including Pinhead Gunpowder and The Frustrators. 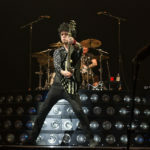 Green Day: Manchester Arena – live review"
The Pelvis Douglas: The Pelvis Douglas – album review"
Green Day: Dos! 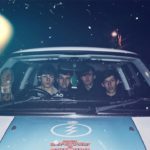 – album review"